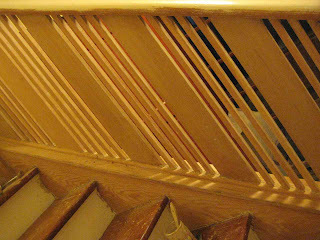 I got back to work at stripping paint in the stairwell and entryway. It's slow going and actually pretty difficult to get into the nooks and crannies, but I'm making good progress. There will probably be a lot more touchup with paint in this area. Today we finally masked the entryway to protect the refinished oak floors. It would be sad to mess those up. 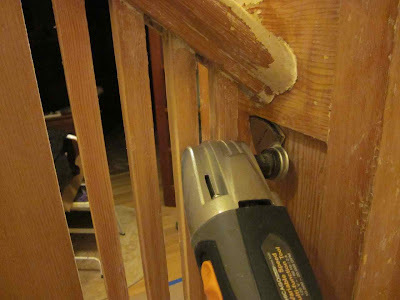 On a positive note, I did discover our Oscillating Multifunction Power Tool we bought last year will sand between the balusters and some of the other hard-to-reach spots. There will still be plenty of sanding by hand, but this will hopefully reduce the time by quite a bit. It's looking really good! 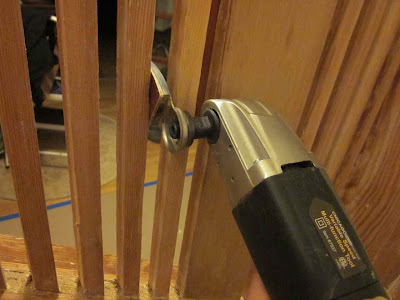 That multitool should save you lots of time in sanding. 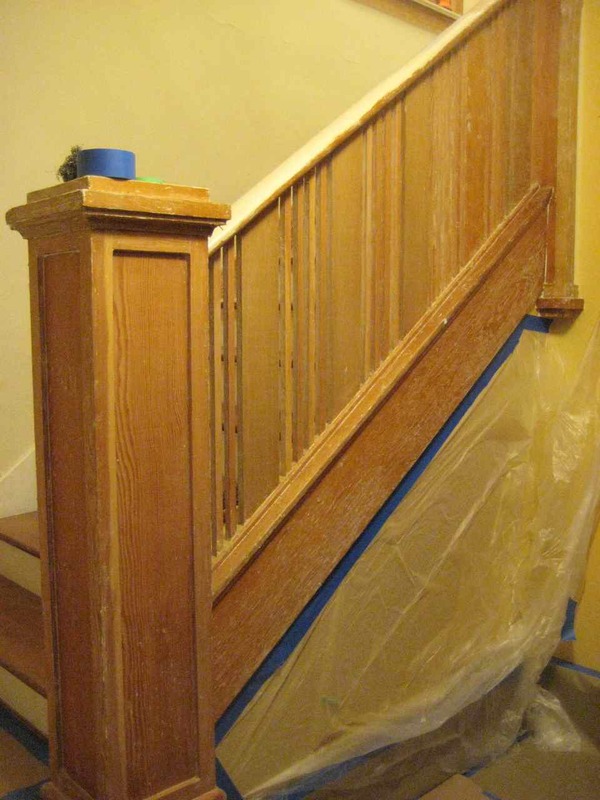 I am completely jealous of your gorgeous staircase, but not jealous of the sanding/stripping.